Gardening and mixology are two hobbies in my household. I’m the gardener and my significant other is the bar-builder and cocktail-crafter. We both dislike drinks with inferior and artificial ingredients. This book seemed to be perfect for the two of us. In The Drunken Botanist, Amy Stewart provides historical and geeky botanical details about the plants around the world used to create drinks. She includes a multitude of cocktail, syrups, infusions, and garnish recipes as well. At home, we sometimes bring our personal copy of this book out to entertain our guests with trivia about some of the ingredients in the libations my S.O. creates and serves. 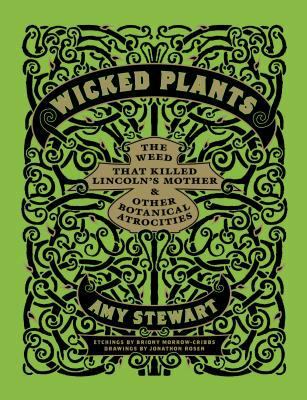 On a different botanical journey, Stewart tackles poisonous and intoxicating plants in Wicked Plants: The Weed That Killed Lincoln’s Mother & Other Botanical Atrocities. Over the years I have found lily of the valley, pokeweed, and snakeroot (see page 213 about Lincoln’s mother) in my backyard. They’re all poisonous when ingested and I wear gloves when pulling the first two. Briony Morrow-Cribbs’ illustrations are gorgeous and perfect for this subject. From the origins of current illegal drugs to the possible botanically-related cause behind the Salem witch trial, Stewart explores the varied use of plants, including as murder weapon, judge and executioner, recreational, and religious. She provides a list of poison gardens but didn’t include the one I unexpectedly visited on the Blarney Castle grounds in Ireland. It was fascinating. Stewart also name-drops some well-known historical figures along the way in this book. I enjoyed Wicked Plants but I have one major complaint. I understand using the terms “wicked” and “evil” are provocative and great promotional terms, but I strongly disagree with that characterization. Just as a wolf or other predator is not wicked, but rather has a natural role in its ecosystem, these plants are creations of nature and they evolved these defenses against predators. They shouldn’t be villainized because people are using these plants in ways that are wicked or illegal in our human cultural context. There are a lot of great things about holiday parties: cookies, presents, drinks, friends & family, drinks, decorations, food, and did I mention, drinks? 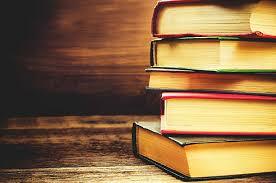 If you’re considering shaking things up and trying a new drink, we have a wide range of books to wet your whistle. 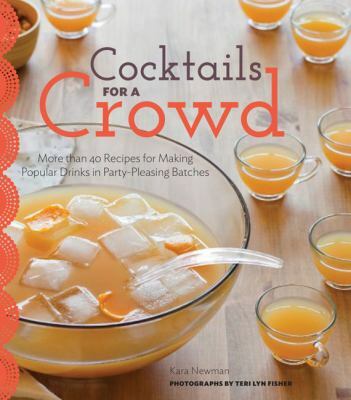 for making popular drinks in party-pleasing batches by Kara Newman is a great go-to for people with a long guest list. From punches to drinks served with an umbrella, this book covers its bases well. Featuring beautiful photography, easy to follow directions, tips from bartenders, and a modern aesthetic, this is a great resource all year long. 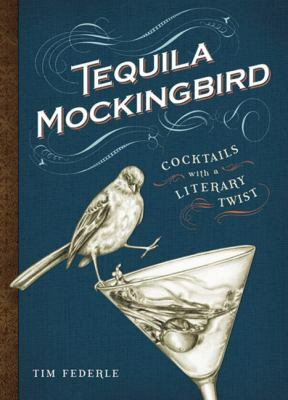 Tequila Mockingbird: Cocktails with a Literary Twist by Tim Federle is a pun heavy book of drink recipes. While the drinks may not be revolutionary, the names breathe new life into old standards. Who could pass up a “Are You There God? It’s me, Margarita.” or a “Brave New Swirled”? Federle includes some bar tip staples, a few non-alcholoic drinks featuring familiar names from children’s literature (“Charlie and the Chocolate Fake-tini”), and bar bites like “The Develed Egg Wears Prada”. 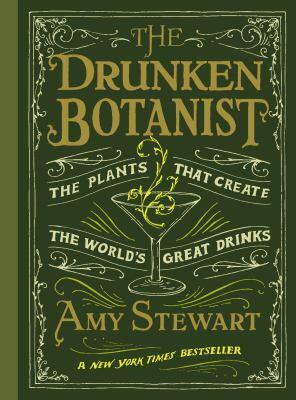 The Drunken Botanist: The Plants that Create the World’s Great Drinks by Amy Stewart has been on a number of best non-fiction book lists this year. Part history, part science, and part cookbook, The Drunken Botanist is an examination of how humans created the drinks that we consume today. With over fifty recipes and growing tips for libation minded gardeners, this is a great choice if you want to share some trivia along side your cocktail.